Choosing bathroom window treatments can be challenging, but you don’t have to sacrifice style when choosing functional shades or blinds for your space. Privacy is a priority, but maintaining options for natural light is also key. Bathroom window treatments should be durable enough to withstand frequent use and in some cases, also be resistant to moisture, mildew, and mold. We’ve collected a few of our favorite bathroom curtains, shades, and blinds, featuring a range of window treatment styles to help inspire you to create your ideal, spa-like retreat. 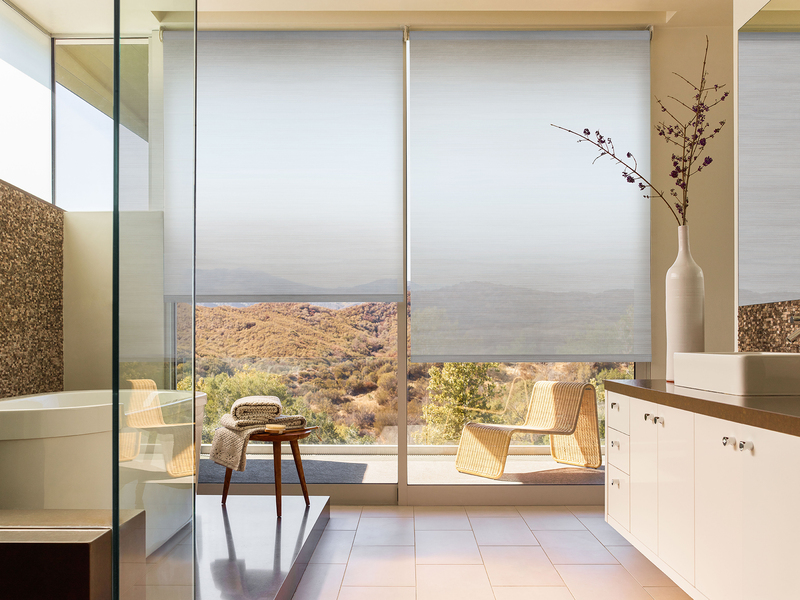 Roller Shades are perfect for bathrooms for their transparency options, ease of use, and their materials. For urban homes or first floor bathrooms, blackout bathroom shades offer complete privacy and light blockage. Roller Shades can be lifted easily during the day to let in light if needed, and can also be motorized for raising and lowering at the push of a button. For bathrooms with a view, like the photo above, light filtering bathroom window treatments preserves the perspective while offering a moderate degree of privacy. When raised, Roller Shades have a slim profile and practically disappear into the top of the window frame. 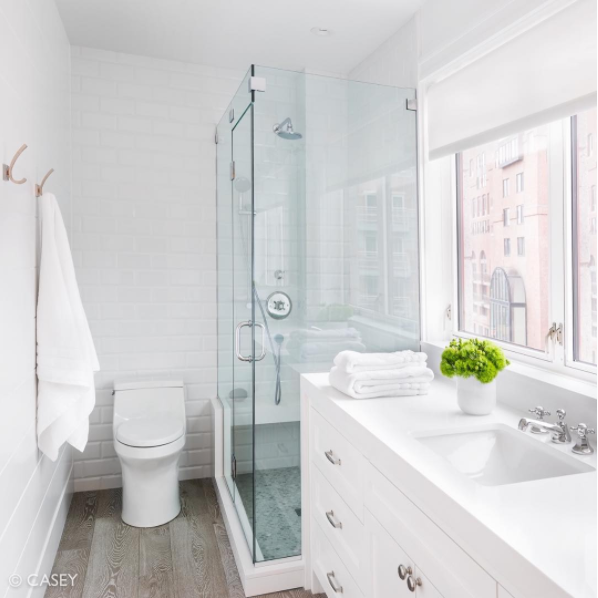 These low profile shades look great in minimalist or monochromatic bathroom designs, like the white bathroom below by Cecilia Walker Design. Roller Shade. 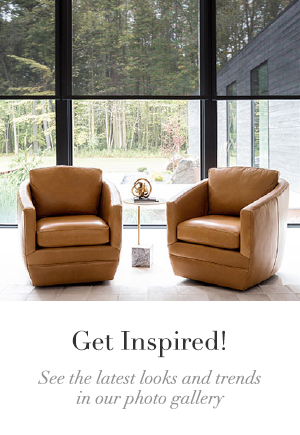 Design by Cecilia Walker, Instagram @ceciliawalkerdesign. Photo by Mike Casey. For damp bathrooms or windows close to showers, choose bathroom window curtain materials that are Microban® certified. Microban® technology prevents the growth of bacteria that can lead to mold, mildew, and fungus. You’re sure to find any design your heart desires in The Shade Store’s 390+ eco-friendly materials, available in fun colors like the Birdhouse Interior Design design pictured below. Roller Shade. Design by Jessica McKay, Birdhouse Interior Design. Instagram @birdhouseid. Roman Shades add a manageable touch of fabric to bathrooms. If cleaning your bathroom window shades is a concern, consider the Sunbrella® Ventana Collection of performance fabrics for The Shade Store. 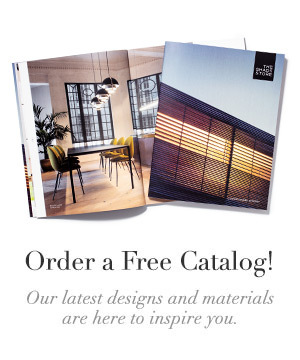 These materials are stain resistant and easy to clean, and come in 37 colors from neutrals to bold patterns. Bathroom window shade styles like Flat Romans are extremely functional. 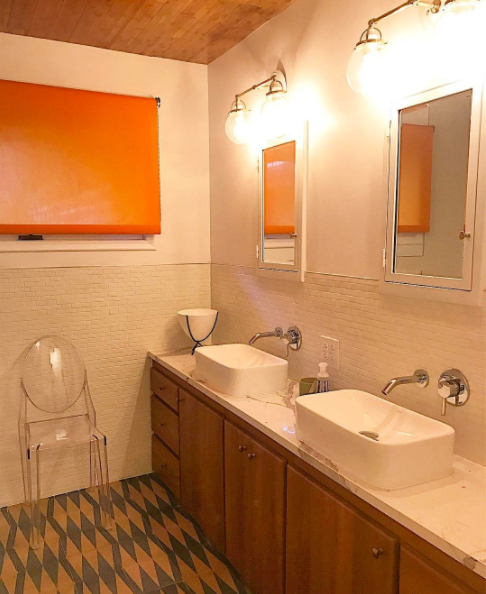 They can be easily raised and lowered and crafted with a variety of linings depending on your bathroom privacy and light blocking needs, including blackout and privacy options. 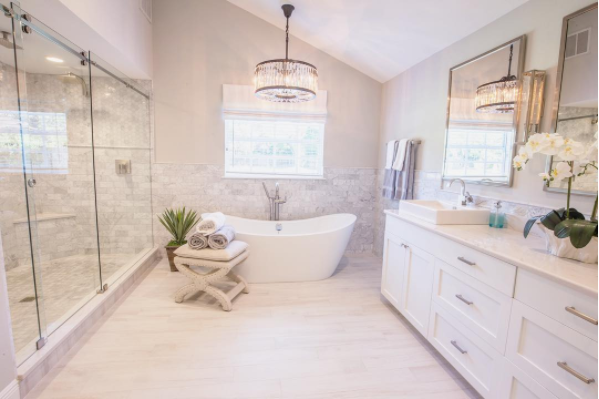 In this spacious bathroom by Yaneisy Moochnek, a white Flat Roman Shade adds interest and softness to the straight lines of the shower glass and wraparound tile backsplash. Design by Yaneisy Moochnek, Instagram: @onepiece_at_a_time_design. If you’d like to see more bathroom window treatments, browse our collection of bathroom window treatment pictures. 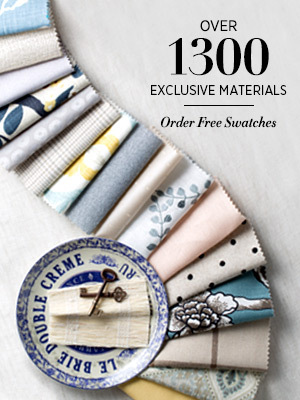 Order free bathroom curtain swatches of any of our materials online or in the showroom. Our Design Consultants are ready to help with any bathroom window treatment questions.